Pope Transport operates under a policy that maintains each truck driver is entitled to work under the safest conditions possible. To make that happen, Pope Transport supplies our employees with unparalleled OSHA-certified safety training to prevent every type of accident. Drivers of our trucks and trailers are responsible for their own personal safety, along with the safety of our clients and those on the road around them. Our drivers recognize that they share the road with their fellow citizens and we vow to do what we can to protect both them and you. 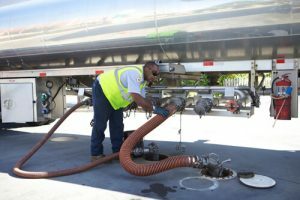 Following these truck driver safety tips closely allows us to provide timely deliveries of petroleum and propane to our customers across North and South Carolina. To make our commitment to employee safety, we operate regular safety training events and require mandatory attendance to ensure that we remain in compliance with all policies and procedures. To see for yourself why hundreds of companies, business owners and employees choose Pope Transport for all their petroleum transportation and delivery needs, contact our team of specialists by phone at 800-329-1137 and let us assess your needs today! Proudly serving customers in the Raleigh, Durham, Greenville, Greensboro, Charlotte, Asheville, Wilmington, NC , Columbia, Spartanburg, Greenville, North Augusta, Lexington and Charleston, SC, and Chesapeake, VA.